In the regional district of Albury, in New South Wales (NSW), Australia, sits the Heritage-listed Murray Art Museum Albury (MAMA), its acknowledgement as Heritage-listed showcases its significance to Australia. 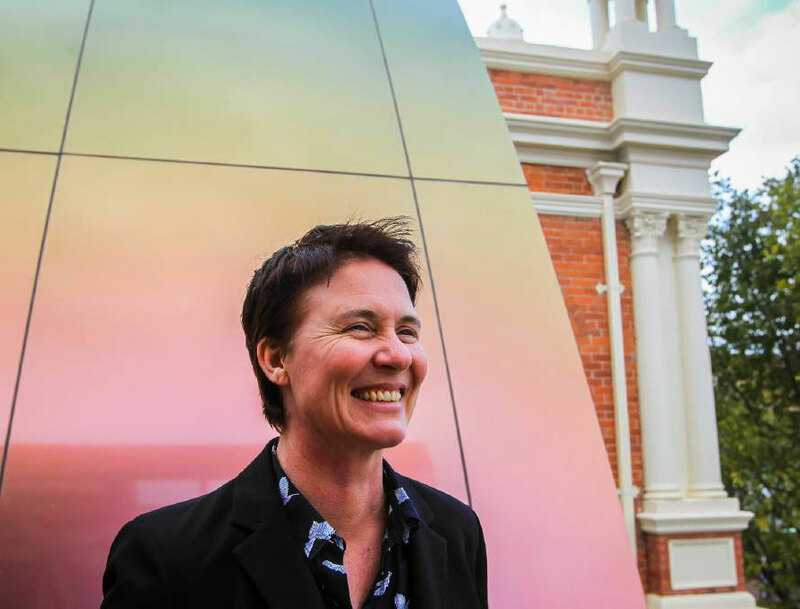 In previous years, Albury has fallen behind as a regionally recognized exhibition host. Wanting to reinvigorate the gallery and establish the area as a cultural epicenter, a redevelopment was initiated. NBRS Architecture was commissioned to redesign the original Gallery (circa 1910), as well as the Burrows House (circa 1870), which sits adjacent to the Gallery, and to add a new multi-functional exhibition space. The two-story addition accommodates touring art exhibitions. The redevelopment blends the two historical building that previously housed the gallery into one large, modern gallery space. 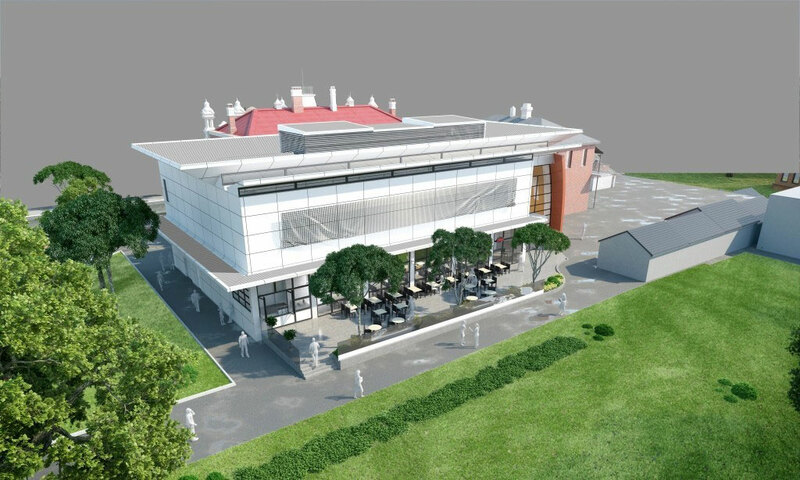 The addition offers a modern look that contrasts the attached historical architecture, keeping its integrity. The facelift’s major challenge was funding, receiving an incredible 10.5 million dollars from various donors including the local NSW government, foundations and community donors. 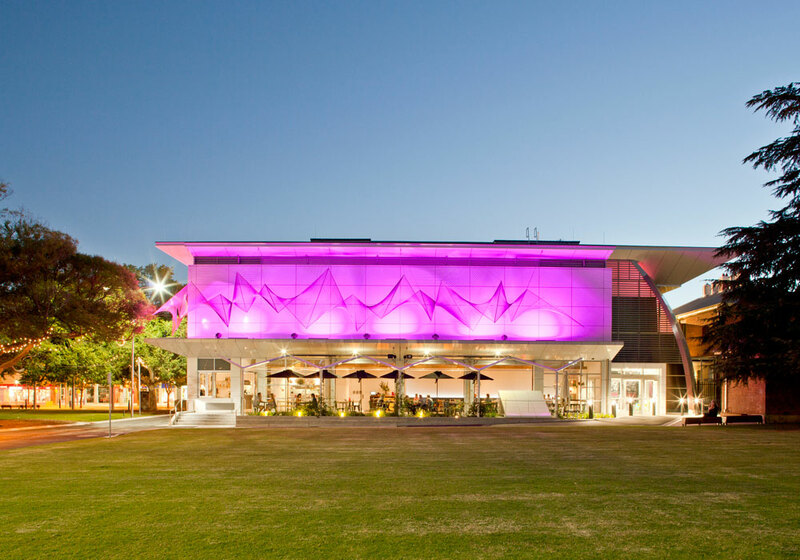 The new Murray Art Museum Albury, known as MAMA, features flexible spaces currently used for art exhibits, a gift shop, café, workshops and more. The expansion more than doubled the size of the original design, allowing MAMA to host seven exhibition spaces and has permanent collection storage. The project was community driven from the start as their insight regarding the gallery’s potential immediately, and continuously sought. Larger galleries have numerous benefits to a community. With the potential to attract world-renowned artists and house a permanent collection, large galleries possess a cultural prowess and create a venue for tourism that resonates to the local businesses. In the redesign, the exterior of MAMA was clad in two Alucobond Spectra finishes, White Gold and Red Brass. The Spectra line features a natural luster and iridescent quality that creates a stunning and reflective design. The design, the mixture of contemporary and classical architectural approaches showcases a respect for the past but a movement towards an innovative future. Artist Matt Harding who installed a series of enveloping steel sculptures outside the MAMA created a compelling component of the exterior. The sculptures illuminate and change the exterior of the façade. 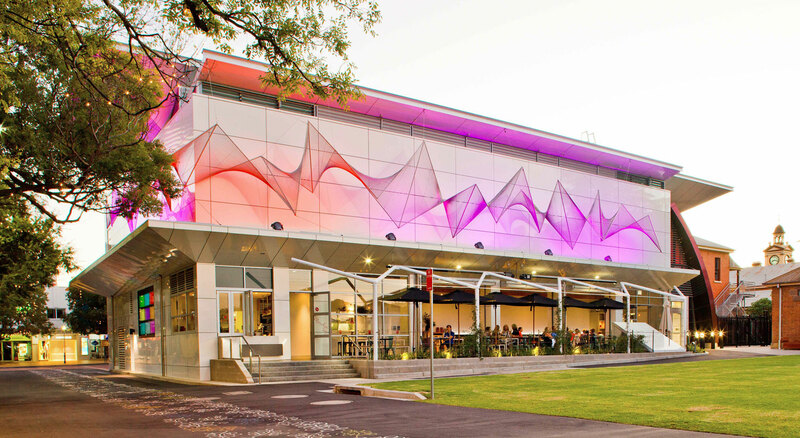 Alucobond Spectra’s kaleidoscopic nature is revealed with both natural and artificial light. 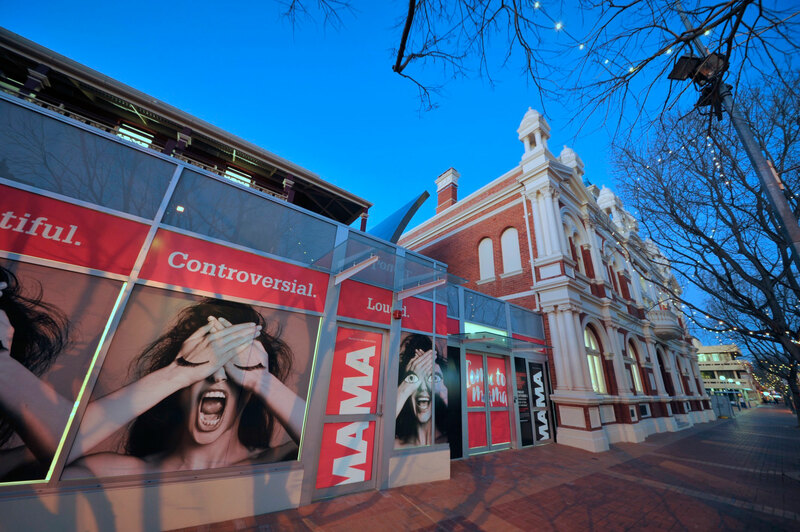 The project won The Museums and Galleries National Awards (MAGNA) that recognizes the excellence and innovative nature of Australia’s Gallery designs. 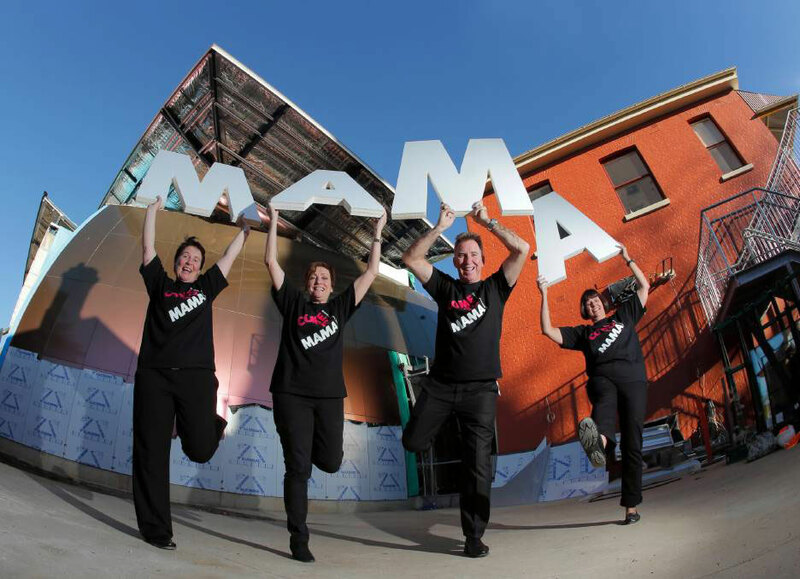 MAMA was the 2016 recipient for Best Permanent Exhibition or Gallery Fitout. Additionally, Zauner Construction won the 2016 Victorian Master Builder Awards for the redevelopment. I am an architect and I am interested in all the Spectra options. Can I have have 2 sets of all 4 choices sent to me ASAP for an architectural review presentation.